Christians around the world celebrate the birth of Jesus at Christmas, but how much do we really know about the biblical story? 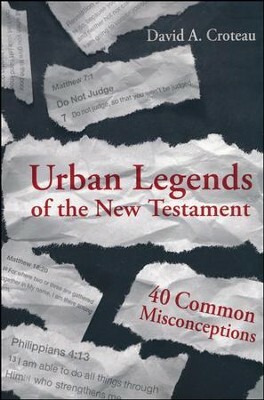 In Urban Legends of the New Testament: 40 Common Misconceptions (B&H Academic), David Croteau explores and explains numerous misunderstandings of the Bible, including some from the Christmas narrative. In this excerpt from the book, Croteau discusses the first visitors at the manger — the shepherds. Were they the societal and religious outcasts they are often presented as or were they simply lower class individuals who represent the poor and humble? Butler (2000) said, “Shepherding had changed from a family business as in David’s time to a despised occupation.” Finally, Utley (2004) said, “The rabbis considered them to be religious outcasts and their testimony was not admissible in court.” Those are just a few quotes from scholars throughout the last 100 plus years. Three main sources are used to reach this conclusion. First, Aristotle was cited as saying that among people, “the laziest are shepherds, who lead an idle life, and get their subsistence without trouble from tame animals; their flocks wandering from place to place in search of pasture, they are compelled to follow them, cultivating a sort of living farm.” Aristotle declared that shepherding is easy because of the animals involved. Using Aristotle as background information for understanding Luke 2 has two main problems. First, Aristotle was not a Jew and did not live in Israel; he was a Greek and lived in Greece. His views on shepherding are virtually irrelevant for first-century Judaism. Second, he lived more than 300 years before the birth of Christ. This also makes his view unhelpful for understanding the New Testament. He lived in a different culture, in a different society, during a different time period. Scholars go to several sources for culling Jewish background material for the New Testament. The two main sources used for understanding shepherds in first-century Israel are the Mishnah and the Babylonian Talmud. The Mishnah is a collection of rabbinic sayings. Rabbis would debate issues pertaining to the Old Testament and Mosaic Law. This collection of rabbinic traditions was from the time period before Christ started his public ministry up until around the year AD 200. It was written between AD 200 and 250. These traditions contained in the Mishnah can sometimes be useful for understanding the New Testament, depending on several factors (like the date of the rabbi being cited). The second source is the Babylonian Talmud. The Babylonian Talmud, compiled around the year AD 500, contains rabbinic interpretations of the Old Testament and interpretations based on the Mishnah. The Mishnah contains rabbinic debates over the correct interpretation and application of Old Testament Law, and the Talmud contains rabbis debating the content of the Mishnah. In general the information in the Talmud is not helpful for interpreting the New Testament. Many of the quotations are simply too late to be reliably useful because the rabbis are so far removed from the first-century context. Besides Aristotle, a comment by Philo, and one statement in the Mishnah, the bulk of the quotes used to demonstrate that shepherds were despised were taken from the Babylonian Talmud. I was unable to find even one source from first-century Israel used to support the view that shepherds were societal outcasts. Therefore, this viewpoint is dated after the events being studied in Luke 2. It is unreliable information and should be discarded when interpreting the Gospels. One clue in the context, a subtle hint, supports the opposite view of the legend. Luke 2:18 says, “And all who heard it were amazed at what the shepherds said to them.” They weren’t amazed that shepherds were telling them; they were amazed at the content of what the shepherds said. If shepherds were viewed as societal outcasts, they would have been shocked that the shepherds were involved in the process. Instead, they were amazed at the story itself. This is a contextual clue that shepherds were not considered societal outcasts. There is better evidence for the idea that shepherds were not viewed as societal outcasts: the overarching biblical portrayal of shepherds. The description of shepherds in the Old and New Testaments would be formative for the minds of first-century Jews and Christians. Beginning in the Old Testament, Abraham was a shepherd. Genesis 13 describes him as having much livestock, herds, and flocks of sheep. Exodus 3:1 says Moses was a shepherd: “Meanwhile, Moses was shepherding the flock of his father-in-law Jethro.” David was a shepherd (according to 1 Samuel 17) who took care of his father’s flocks. These three men are pillars of the Old Testament. Abraham, Moses, and David were all connected to shepherding, and all three were greatly esteemed in Jewish society. God is also pictured as a shepherd in the Old Testament. One of the most famous verses in all of Scripture proclaims this: “The Lord is my shepherd” (Ps 23:1). Many more could be quoted, but these should suffice. A Jew in the first century would connect shepherding to Abraham, Moses, David, and God himself. The most powerful passage connecting Jesus to the shepherd motif is John 10. Jesus discusses shepherding, and he places himself in the role of shepherd, calling himself “the good shepherd” (John 10:11). This would be an oxymoron if shepherds were viewed like prostitutes. Jesus is even referred to as a shepherd outside of the Gospels (see Heb. 13:20; 1 Pet 2:25; 5:4). There is no hesitation in the New Testament to refer to Jesus as a shepherd. Peter says to church leaders, “Shepherd God’s flock among you” (1 Pet 5:2). The title “pastor” refers to a shepherd. There is no evidence of embarrassment over referring to church leaders as shepherds. Many scholars have taught that shepherds were societal outcasts in first-century Israel. Their sources are generally many years after the New Testament time period, plus Aristotle who was from a different culture and 300 years before Jesus. Luke 2:18 appears to lean against the view of shepherds as societal outcasts. The biblical portrayal of a shepherd is extremely positive in the Old and New Testaments. An abomination unto the Egyptians. Israel, as a nation , had not yet come to existence. It wasn’t until their exile from Egypt and in the desert that they received the Mosaic Law and established a religious and cultural identity. In Genesis 45:22, there is another reference “because the Egyptians might not eat bread with the Hebrews; for that is an abomination unto the Egyptians.”. Indicating it was more of a bias against Hebrews than shepherds. Yet, Genesis 46 remains irrelevant to the context explained by the author for similar reasons as the other references. Thank you for your article. I, too, have been searching for the source of the “Levitical shepherd” teaching. In many Christmas stories, the shepherds are described as Levites that are unable to serve in the Temple because of some physical imperfection. 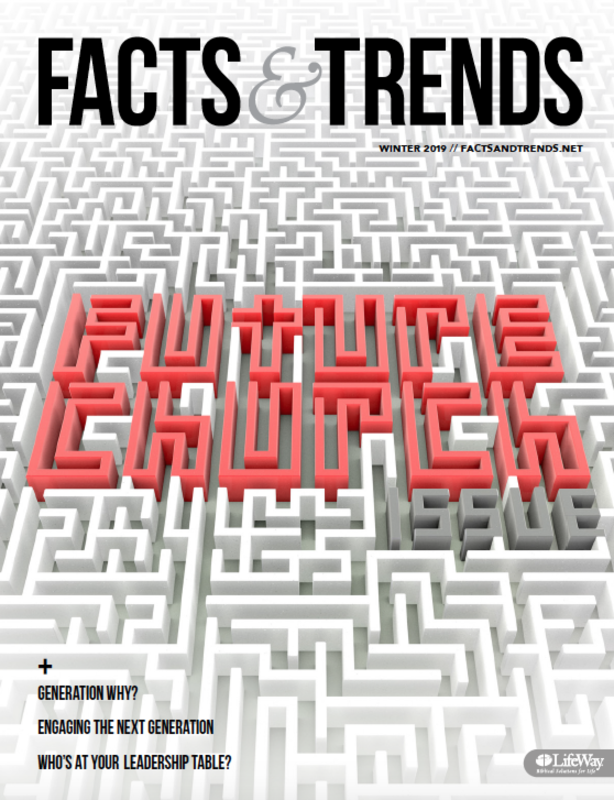 These “outcasts” are left to serve as shepherds of “priestly flocks” destined for sacrifice. Some go so far as to say that the shepherds wrap the newborn sacrificial lambs in “swaddling clothes” when they are born. Although it is a beautiful story, I can not find one reference to any such “Levitical shepherds”. In fact, according to Tannaite authority, Levites were not disqualified for physical blemish. This law only applied to Aaronic priests. I would like to know your findings on this. Thank you again. Thank you for the article. I would like to point out two aspects of a shepherd. Firstly their social acceptability secondly admiration for their work ethic. Firstly shepherds handled and lived with sheep for extensive periods. This made them smelly and grubby compared to the rest of the population. The shepherd often came into contact with blood which was forbidden under the Law, which made them unclean. Until they were ritually cleansed other Jews would be reluctant to touch them. The shepherd by the nature of the work would not be near a place of worship. Therefore rarely went to a place of worship. In Jesus time one of the signs of a pure and good Jew was that they went to a place of worship regularly. So socially the shepherd was on the fringe of society. My second point is the picture and example, of a shepherd looking after the sheep, was much admired and used as the article above shows. The point I am making is that a shepherd was not socially acceptable, but not considered sinful by what they did in looking after the sheep, but were not socially acceptable for the other reasons that I mentioned in my first point. Thank you for your comments. But they are based on a non sequitur logic. The call of God is a redemptive philanthropic call.Abraham Moses and David were imputed with position and significance while they were shepherds. What prompted Samuel to question God’s overlooking Jesse’s other sons in favor of the little brother shepherd David? Signicant in your own discourse is the fact that neither Moses nor David owned the sheep. These were shepherds custodians for another owner. Your logic would elevate the stable to the same hospitality and hygiene of an inn because the Son of God was born there. The reality may be that the location of the the manger would only be approachable by a lower class shepherd. No one else in the culture would go near a place where animals defecate and urinate . . . and worship. Questions come to mind: why weren’t the shepherds preparing to be taxed? When Jesus praised a harlot in the house of a pharisee or was a friend of sinners he did not change their place in secular culture but in God’s culture. I have often wondered, as well, about tax collectors. It is said, from pulpit after pulpit, that tax collectors were despised and hated, and, indeed, the evidence of the New Testament supports this. The reason given by modern preachers is – always, in my experience – that they worked for the hated Romans. It has occurred to me that this might be imputing modern political ideas to ancient Israel. It sounds plausible … but I have wondered if there weren’t two rather more important reasons. 1) Weren’t they tax farmers? My understanding is that they became personally responsible for the tax from an area. They collected it – and charged a fee. Was that fee considered interest? Did they thus go against the prohibition of charging interest on your fellow Jew? As to the tax collectors, the Roman system allowed for much corruption. At various times in the Republic and in the Empire, reforms of tax farms were instituted with varying success. But fraud persisted through the whole period. Even though the Romans put some safeguards and accountability in place, the potential for abuse was widespread and often happened. Any basic Roman history will give you more information on this.